The second issue on appeal relates to the district court’s decision to strike two of the government’s witnesses as a sanction for the late disclosure of alleged impeachment material related to those witnesses. This decision was rendered orally at a pretrial hearing and is based on factual conclusions concerning the weight and necessity of the government’s evidence and the history of discovery in this case. The district court’s decision to strike these witnesses effectively terminated the prosecution. I have suggested that one of these witnesses likely leaked classified information, but was not prosecuted for it. If I’m right that this is one of the witnesses that Judge Leonie Brinkema struck, consider what it means: that one of the most critical witnesses in this case also disclosed classified information (behavior, Sterling asserted in a filing, that was “more egregious” than what he was alleged to have done). The government is preparing to argue that this may not amount to impeachment information. Presumably, they’re also going to offer some excuse for how they didn’t manage to find and turn over this information until shortly before the trial. And this witness is crucial to the government’s case. Now couple all that with one of the other disputes at issue: the government wants to withhold the real names of 10 CIA witnesses–not just from the jury, which I understand to a point. But also from Sterling himself. The third issue on appeal relates to the district court’s decision to require the government to disclose to Sterling and the jury the true names of government witnesses who are covert CIA officers or contractors. This decision was rendered orally at two pretrial hearings, and requires a close familiarity with the extensive procedural history concerning the discoverability and admissibility of the witnesses’ true identities (which are classified). Now, the government claims these two efforts aren’t that closely related–“each of [these appellate issues] is almost entirely distinct from the others.” Yet is that really true? The government, either by accident or intent, tried to prevent Sterling from learning details about two key witnesses against him. And it is also trying to prevent him from tying the people testifying against him to actions he probably knows firsthand, from his time at the CIA–if not from this late-produced discovery information. It sure looks like the government is trying to play games with evidentiary issues to eliminate the Sixth Amendment. Typical William Welch. William Welch Appears to Commit Prosecutorial Misconduct. Again. (3) Whether the district court erred in striking the testimony of two government witnesses for the late pre-trial disclosure of potential impeachment information about these witnesses. It was always likely they were going to appeal the James Risen subpoena. And I noted here that the government was likely going to try to hide the identities of its CIA witnesses, even from Sterling, for all that would seem to violate the Sixth Amendment. But then there’s what appears to be more of William Welch’s practice of withholding relevant material from defendants (Carrie Johnson first reported this aspect here). While we don’t know which witnesses Leonie Brinkema has excluded, I think it possible that one of the witnesses in question was investigated, but not prosecuted, for leaking in the past. Sterling moved to dismiss his case for selective prosecution on October 11, less than a week before the case was scheduled to go to trial. That’s obviously late to raise an issue like selective prosecution. That filing and a later response has not been redacted yet. But the government response makes it clear that Sterling complained about what appears to be another CIA officer who leaked classified information, but was not prosecuted. The defendant claims that he was selectively prosecuted. At bottom, he alleges that because someone else was not prosecuted for the unauthorized disclosure of classified information, then he must have been selectively prosecuted. Here, prior prosecutors reviewed the circumstances surrounding Person A’s statements and concluded that Person A’s statements had been obtained in violation of Garrity v. New Jersey, 385 U.S. 493 (1967). Person A’s statements are the only evidence against Person A cited by the defendant. Person A had been interviewed a number of times by internal security investigators, and Person A had an employment obligation to cooperate with those internal security investigators. Failure to do so meant loss of security clearances and potentially loss of employment for Person A. Thus, the threat of loss of employment, whether implied through the loss of security clearances or express, supplied the requisite coercion to render Person A’s statements inadmissible, and Person A never waived any Garrity rights or executed any Garrity waivers prior to making the statements at issue. Thus, the situation of this defendant and Person A are starkly different, not similarly situated. Given the late date of Sterling’s motion to dismiss, it seems likely he got information on this person about a month ago, which makes it likely he received it in late discovery. In her most recent ruling (which she issued in sealed form the day before the CIPA conference at which the government announced it would appeal), Brinkema responded to Sterling’s selective prosecution attempt with this comment. The defendant’s Motion to Dismiss Based on Selective Prosecution or, in the Alternative, to Take Discovery Related to Selective Prosecution [Dkt. No. 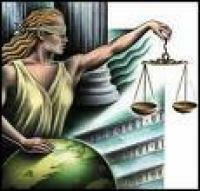 254] is unsupported by the facts before the Court and the law. Moreover, there is not enough time before the start of the trial to conduct further discovery. Given her dismissal based on time considerations, I think it likely this may be the impeachment evidence: that at least one of the witnesses who would testify against Sterling had, in the past, leaked herself, and yet Sterling had not been given enough time to learn about the nature of this leak. Gosh, it seems like just a few hours ago I was posting on the capriciousness with which our government treats leaks. And it seems like just days ago that I was recalling William Welch’s series of prosecutorial screw-ups. You’d think that DOJ would start to get the idea that none of this stuff is cool. Update: I made an error before. Sterling’s reply to the government’s response on selective prosecution was not sealed. Here’s one more detail that adds to the picture of his selective prosecution claim. With respect to the Government’s first contention, as set forth in his motion, Mr. Sterling has made a detailed showing. Mr. Sterling showed that the conduct of Person A was more egregious, Person A was not prosecuted, Mr. Sterling had sued the CIA for discrimination, and Mr. Sterling was prosecuted. So whatever Person A leaked, Sterling claims it was worse than what he is accused of leaking. Also note, Sterling’s reply came on October 13, the same day Brinkema issued her ruling rejecting the selective prosecution. So it’s possible that Sterling’s lawyers raised this issue in the CIPA hearing the next day, which is when the government decided to appeal. https://www.emptywheel.net/wp-content/uploads/2016/07/Logo-Web.png 0 0 emptywheel https://www.emptywheel.net/wp-content/uploads/2016/07/Logo-Web.png emptywheel2011-11-10 10:15:572011-11-10 11:52:45William Welch Appears to Commit Prosecutorial Misconduct. Again. In response to two questions from Orrin Hatch, Eric Holder revealed that the John Durham investigation into torture and the Office of Public Responsibility investigation into the prosecutorial misconduct in the Ted Stevens case are both nearing their end. While none of the Senators asked for Holder to make the results in the torture investigation public, Hatch, Pat Leahy, and DiFi all asked for the Stevens report to be made public. Let me predict for them what that report will say: While problematic, the behavior of DOJ’s own does not merit punishment. Love, David Margolis. I was meaning to write a post on this filing in the Jeffrey Sterling case, largely to point out the government is trying to prevent Sterling from arguing that everyone–particularly John Brennan–leaks. The Court should bar the defendant from presenting any evidence, argument or comments of selective prosecution or that everybody leaks classified information. Not only is such evidence not probative on the issue of whether the defendant committed the charged crimes, but the introduction of such evidence or arguments would force mini-trials over the similarities and differences between the present prosecution and every other specific instance of leaked classified information. Fights over the classification levels of the information, the potential damage caused to the United States, and a host of other issues would consume and overwhelm the real issues in this case. The motion is particularly amusing not just because it was submitted at the very same time senior officials–including Brennan, who was involved in the underlying issues in this case–were leaking state secrets for days. And because, a week after this, the Defense did file a still-sealed selective prosecution motion. Moreover, the government’s case citations don’t address the instant issue: that the prosecuting agency itself–DOJ–leaks with impunity. It’s one thing to say other non-governmental criminals commit the same crime without being prosecuted; it’s another to say the agency prosecuting Sterling doesn’t prosecute people within its own agency that commit the same alleged crime. Alas, I am going to have to, instead, focus instead on the motion to prevent Sterling from presenting any evidence that the Russian Scientist tasked with handing off faulty blueprints to the Iranians might be James Risen’s source. Of course, all this is happening while the government is simultaneously trying to get comments the Russian Scientist made to his case officer when Risen’s book came out admitted into evidence, while at the same time trying to prevent Sterling from subpoenaing the underlying documents that might show the Russian had to be Risen’s source. The government, you see, wants to admit evidence that the Russian was scared Risen’s revelations put his safety at risk. On or about January 23, 2006, after having read Chapter 9 and the information contained therein for the first time, Human Asset No. 1 contacted his CIA case officer and requested an unscheduled meeting. Human Asset No. 1 subsequently met with his CIA case officer and reported his fears and personal safety concerns for himself and his family. The case officer contemporaneously memorialized Human Asset No. 1’s fears in a cable. See Dkt. 153, CIPA Exhibit 47. That cable demonstrates that Human Asset No. 1 made his statements to his CIA case officer while still “under the stress of excitement” caused by the level of detail identifying him as the asset involved in Classified Program No. 1. In addition, the CIA case officer will testify at trial that he had never seen Human Asset No. 1 so shaken and scared than on that day as Human Asset No. 1 reported his fears and concerns to him. The government moved to enter this cable after the defense had already apparently (the filing is heavily redacted) pointed out that Risen’s book had not identified the Russian scientist–the defense appears to want to call Pat Lang to support this point–but also to note that the Russian would have had as much reason to want to discredit the CIA as Sterling allegedly would after he had been put in the position of dealing bad documents to Iran. More interesting, Sterling suggests that the Russian may be the only person who had a document mentioned in Risen’s book. One possibility is a written report the Russian made of his trip. Another is the content of the cover letter he wrote warning the Iranians that there was something wrong with the blueprints. But most notably–given the claims and counter-claims about what Risen’s narrative style might indicate about his sources–the Defense notes that much of the narrative of MERLIN is focalized through the Russian.